A beautifully illustrated portrayal of parental love in a family of color. When the sun sets, it’s time for Momma, Papi, and their tired toddler to begin the evening’s routine, which includes clanging pots, messy meals, sleepy dancing…and lots of hugs, kisses, and positive affirmations along the way. Author Tameka Fryer Brown and illustrator A.G. Ford create a lyrical and loving depiction of a contemporary, bi-cultural brown family. Tameka’s reflection: I was inspired to write Brown Baby Lullaby as I was reflecting on the type of love I felt for my children when they were babies, how immensely pure and uncomplicated it was. My hope is that the words and images of this love poem will sow themselves into the hearts and minds of our little ones–all of our little ones–blossoming into a visceral belief in the value, humanity, and belovedness of every brown-skinned baby. And child. And human being. Such an impact would mean the world. 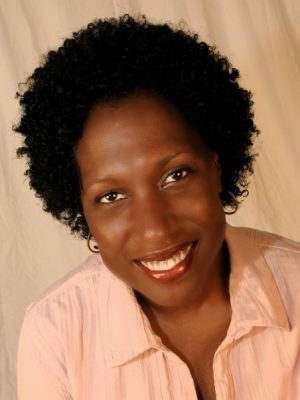 Tameka Fryer Brown is an award-winning picture book author. Her titles include Around Our Way On Neighbors’ Day , illustrated by Charlotte Riley-Webb (Abrams, 2010) and My Cold Plum Lemon Pie Bluesy Mood, illustrated by Shane Evans (Viking, 2013), which was lauded as a Charlotte Zolotow Honor Book, a Bank Street College Best Book, a CCBC Choices Best Book, an Abilene ISD Mockingbird Award nominee, a SIBA Book Award nominee, a Star of the North Picture Book Award nominee, and one of NYPL’s 100 Titles for Reading and Sharing. Her work is also featured in the much heralded anthology, We Rise, We Resist, We Raise Our Voices (Crown/Just Us Books, 2018). 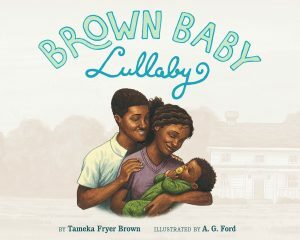 Tameka’s forthcoming picture books, Brown Baby Lullaby (FSG) and Twelve Dinging Doorbells (Kokila) are scheduled for release in 2020 and 2022 respectively. 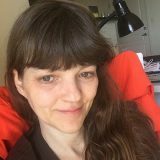 Gayleen Rabakukk holds an MFA in Writing for Children and Young Adults from Vermont College. 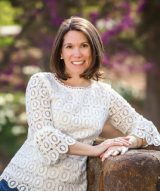 Since 2016, she’s worked with Cynthia Leitich Smith as a Cynsations intern. 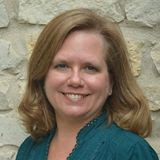 She teaches writing classes for Badgerdog and for an Austin Library Foundation program. 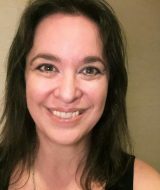 Gayleen also serves as assistant regional adviser for the Austin chapter of the Society of Children’s Book Writers and Illustrators. Gayleen is represented by Andrea Cascardi of Transatlantic Literary Agency.